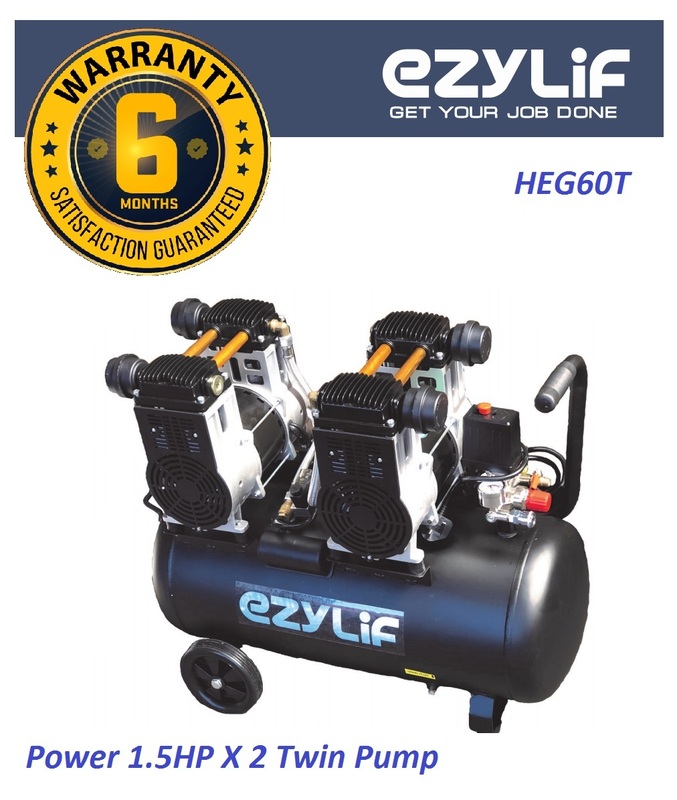 EzyLif 1.5HP x2 Twin Pump 60Liter Oil-Free Silent Air Compressor..
.Clean air 100% oil-free for better tool operation, less maintenance and costs. .Energy saving, environmental-friendly and pollution-free. 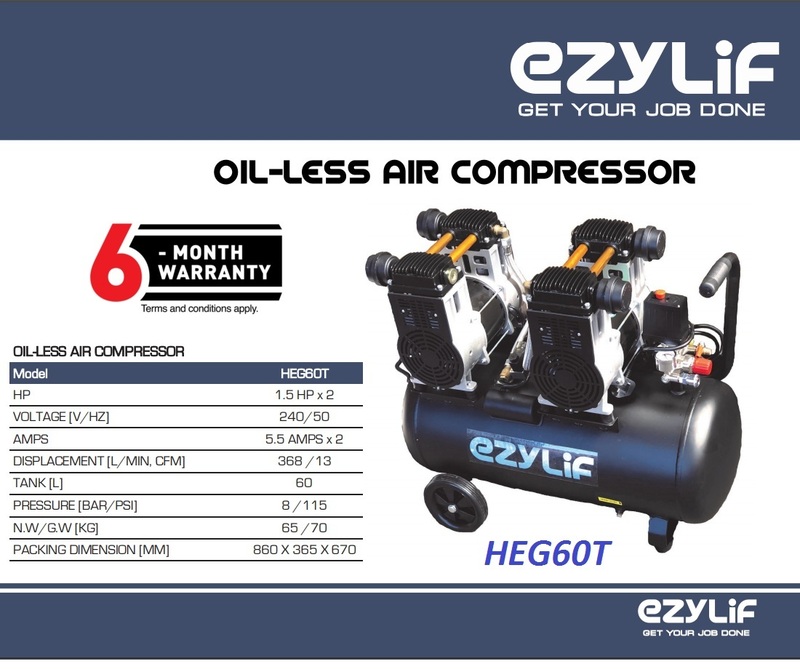 .Ultra Quiet Air Compressor is designed to be one of the quietest air compressors in the industry having only 63 decibels of sound. 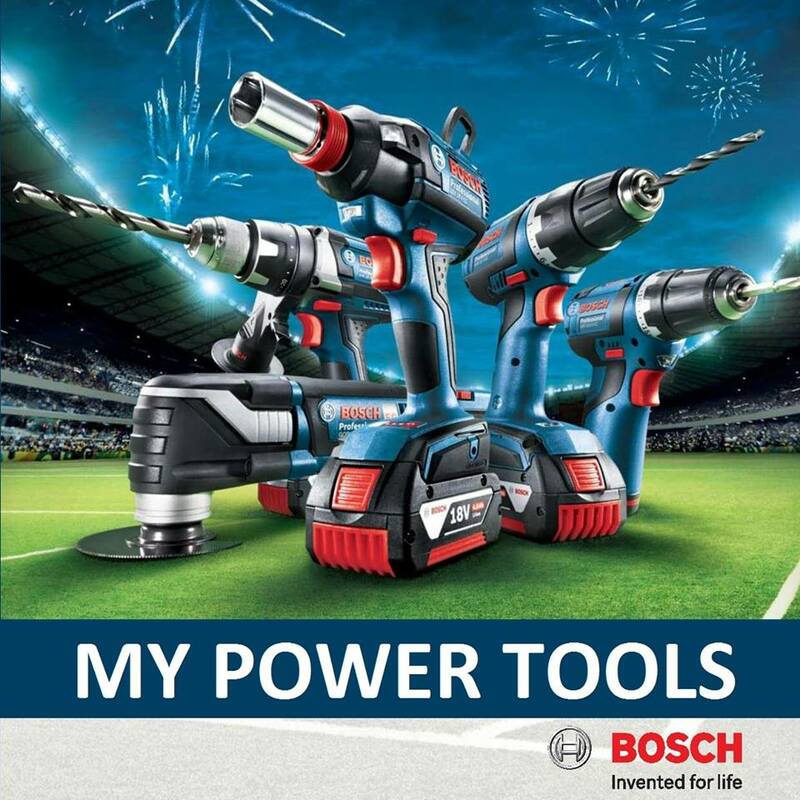 .The powerful 2x 1.5HP motors for quick operation and operates at only 1400rpm creating less noise and less wear. .The Oil-Free Dual Piston Pump System is engineered for high performance and durability. .The 60Liter steel horizontal air tank with wheel kit provides extra air capacity and easy portability. 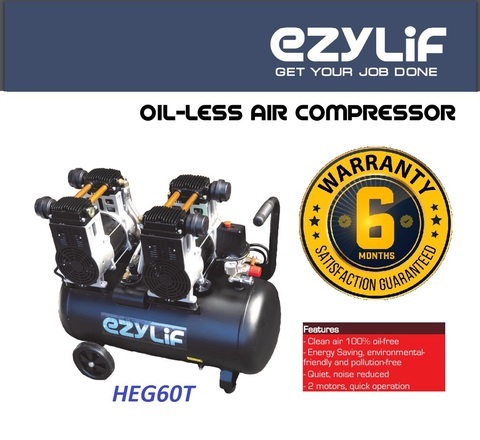 .This air compressor is ideal for anyone working where noise is a major issue. PRICE RM1,199.00..(Ezylif Get Your Job Done)..